We all love our cute feline pets and their strange antics, which is why we like to spoil them. 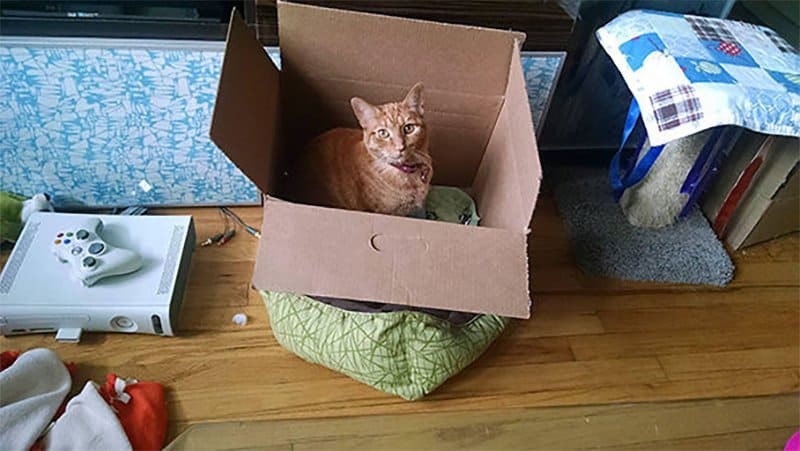 Whether it be with a brand new soft cat bed, an amazing scratching post or some awesome new toys, cats will always play with the item that costs the least of the lot, whether that be the box it came in or the tape used to seal the box. Maybe that is why we love them so much – for their unpredictability and carefree attitude. This is a list of ten silly cats doing everything wrong with the new toys they’ve been bought. Apparently the most comfortable spot is between the two best spots in the house. If the camera was moved slightly to the right everybody would be feeling bad for this cat. Turns out he’s just a weirdo. 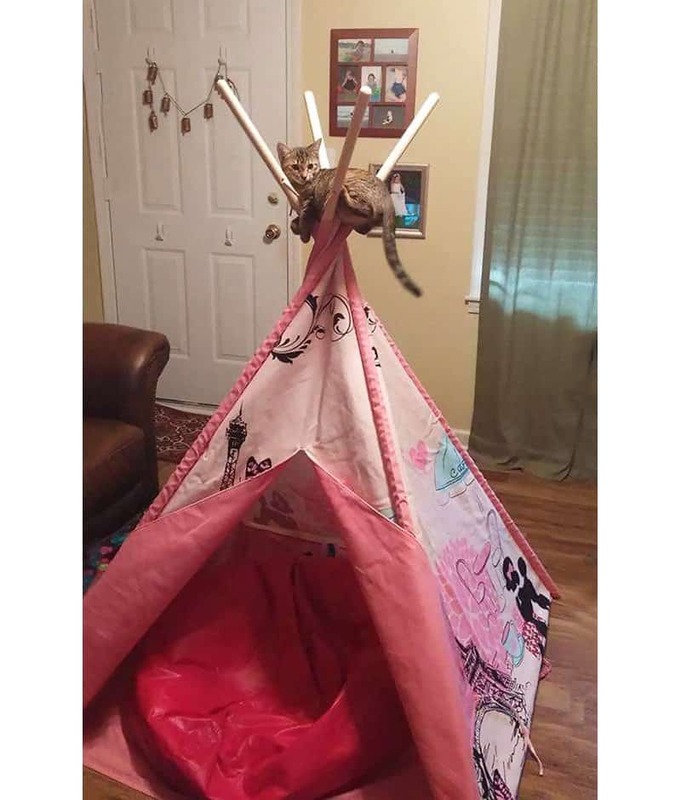 This cat is the descendant of the ancient war chief’s cat that enjoyed amazing views from the tops of the Teepees. 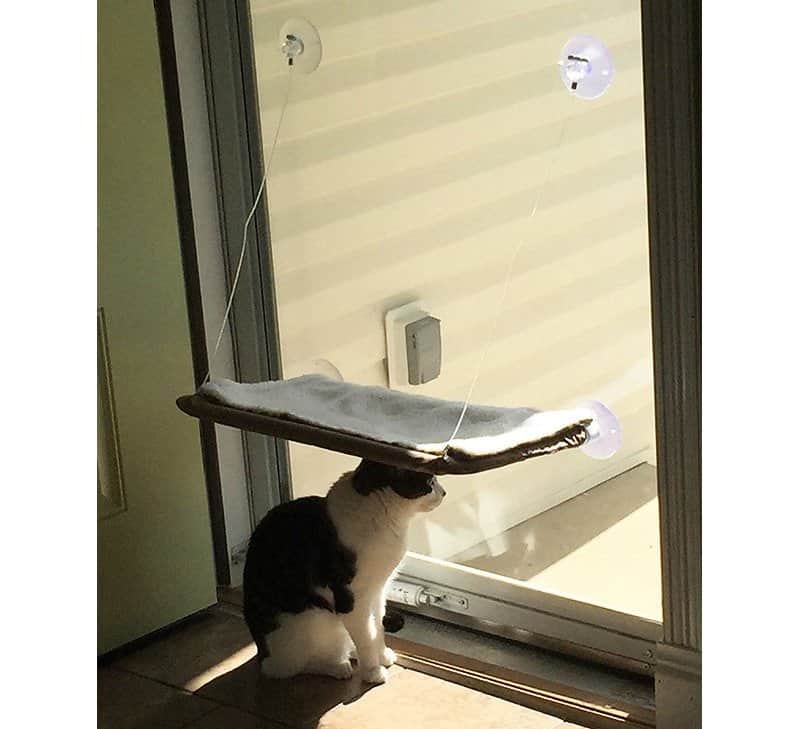 Everyone knows cats love high vantage points, but this cat decided on the shady spot instead. 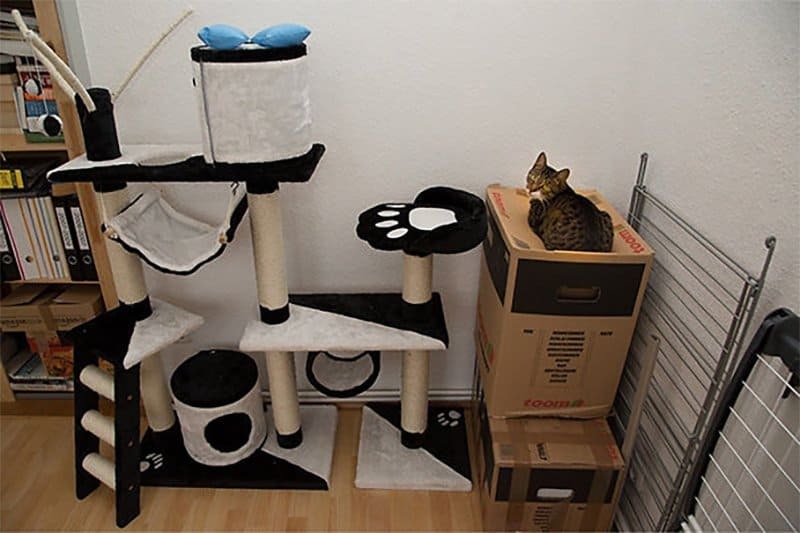 Get a tall cat climbing post they said. 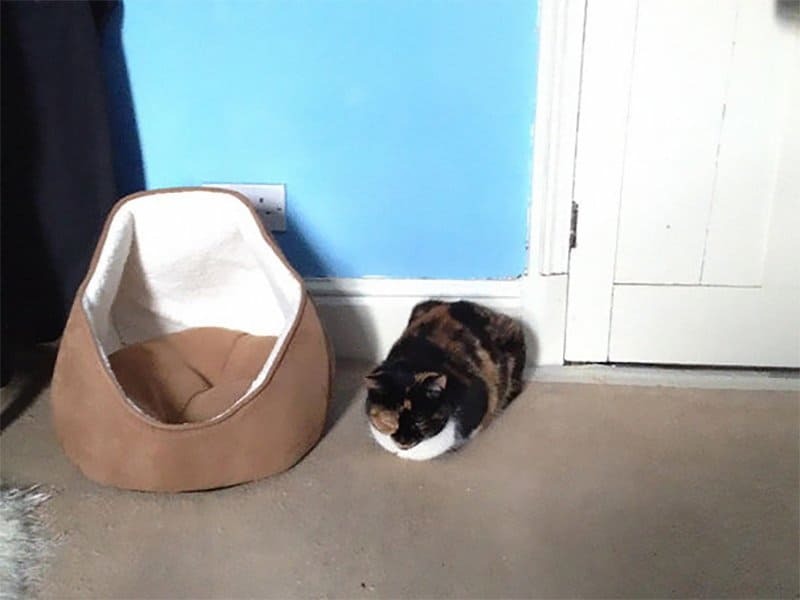 It’ll make the cat feel more comfortable and part of the household they said. 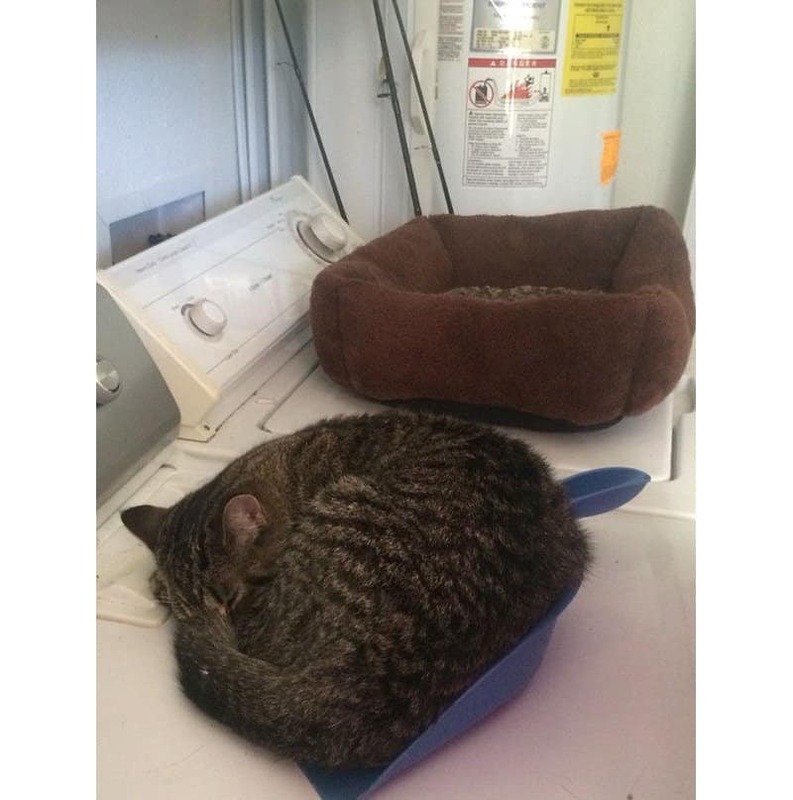 Want your cat to use the cat bed you bought it? Do the classic switch-a-roo and put and open ended box over it. 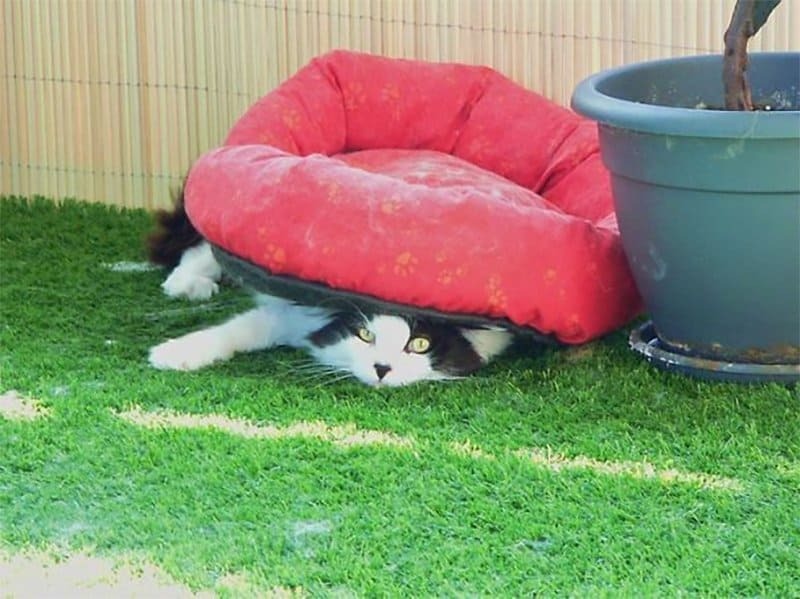 We are almost certain that the top of the cat bed is more comfortable, but don’t tell that to this cat. 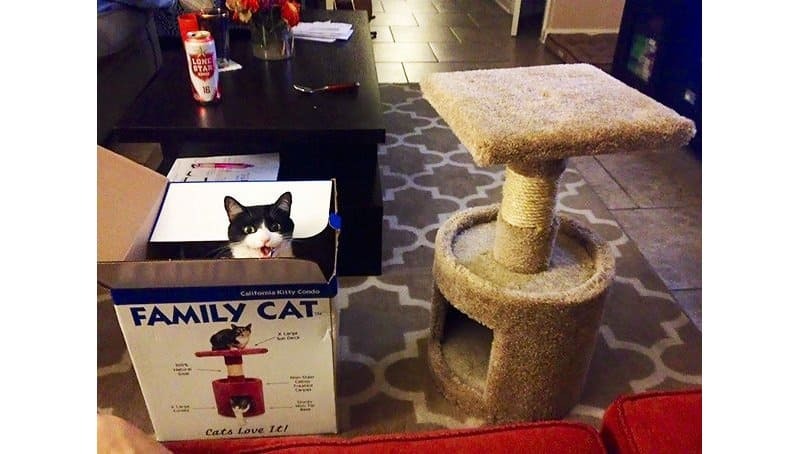 Never mind the expensive cat scratching post, this cat found his precious box. Well, it does say Family Cat on it, so maybe the cat came in the box? 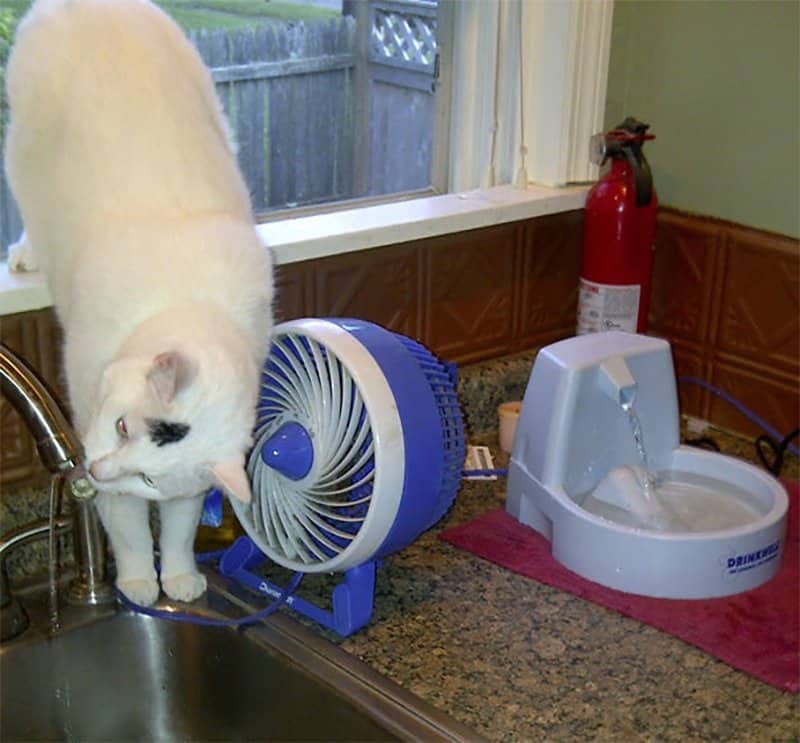 “Just like water out of the tap!” Fifty bucks later and the cat refuses to change old habits. 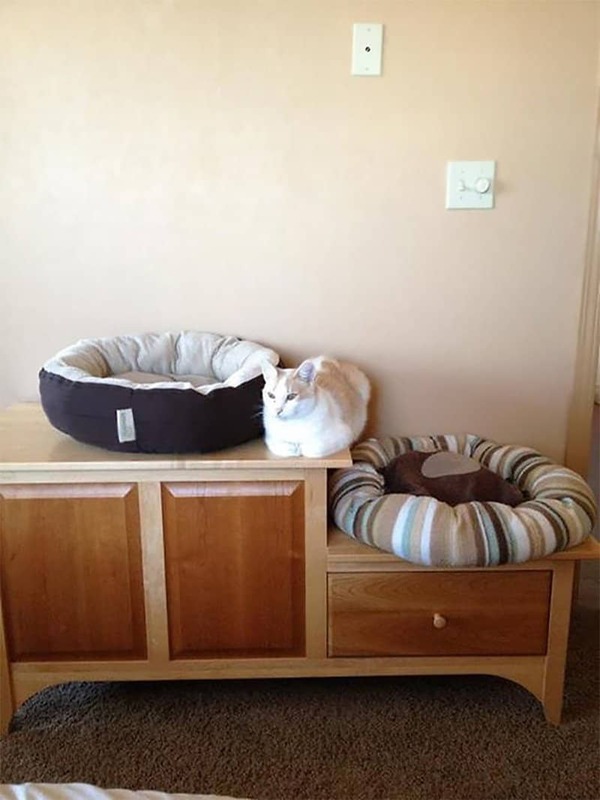 The logic of cats are beyond us. Apparently they can make themselves comfortable everywhere except on soft cat beds.